Should You Consider a Landscape Retaining Wall? If you are invested in making your home look nice and maintaining its appearances, landscaping likely plays a big part in this. Flowers, trees and plants are a great way to add beauty to your home, but sometimes the terrain you are working with does not want to cooperate. Perhaps your property is sloped or otherwise inhospitable to landscaping. Check out these reasons why a retaining wall just might be the solution you have been looking for. The most obvious function of a retaining wall is its ability to keep soil in place. Once installed, the soil behind the wall is kept secure so that you need not worry about shifting or the occurrence of a mudslide in the event of inclement weather. The supportive structures of the wall ensure that the integrity and placement of the soil is maintained even if you are dealing with a downward-sloping area. This maintenance of the soil will also help to prevent sink holes from occurring. Flooding is another great concern to people with slopes or hillsides on their property. It can be stressful to try and prevent water accumulation, but with a retaining wall, flooding is not nearly as likely to occur. Rather than allowing water to gather, the wall creates a ledge that water can flow towards and away from the landscaping you have in the wall. You will no longer need to worry about what the state of your yard will be after heavy rainfall. 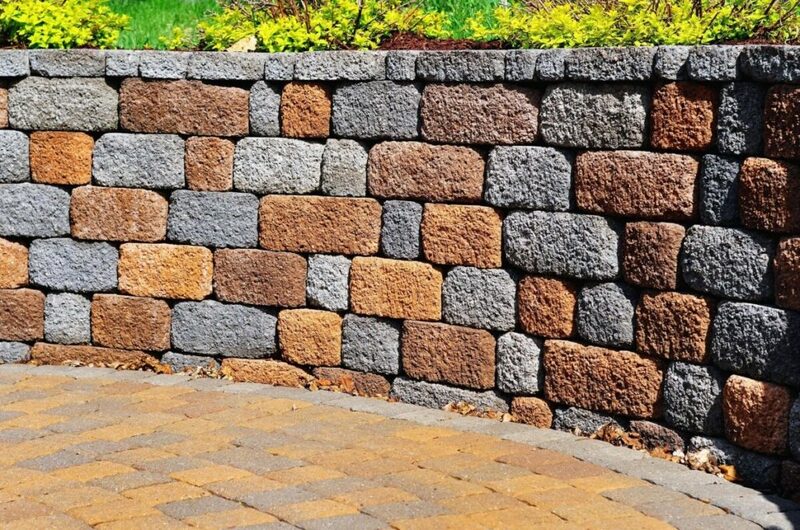 In addition to the benefits to your landscaping a retaining wall can provide, it may also be a valuable investment in the time and energy you spend in your yard. Installing a wall is likely to reduce the amount of maintenance you need to do, and as such, it’s a great way to create more time to do the things you truly love. You would probably rather be planting flowers than cleaning up a muddy flowerbed. http://gkconstructionco.com/wp-content/uploads/2017/08/Optimized-bigstock_119232293_Retaining-Wall-And-Patio-okkkk-1.jpg 796 1200 admin http://gkconstructionco.com/wp-content/uploads/2017/08/G-K-Construction-Logo-80x80.png admin2017-08-21 05:21:502017-08-21 05:21:50Should You Consider a Landscape Retaining Wall?